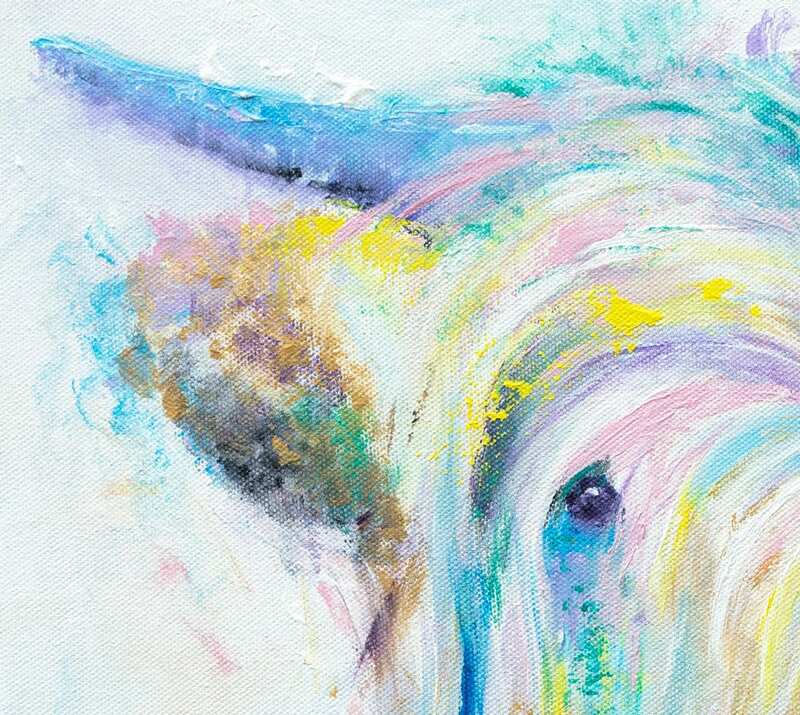 Searching for highland cow art for your walls? 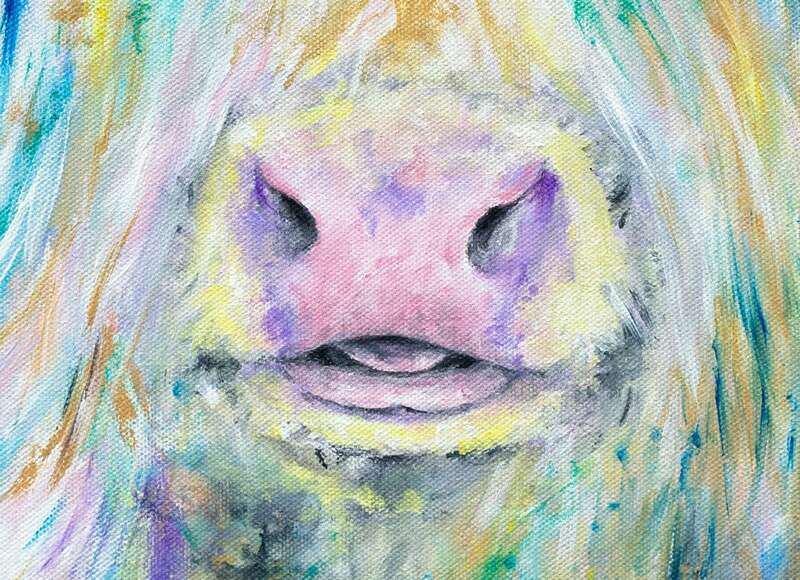 Or a cow gift for that quirky animal lover in your life? 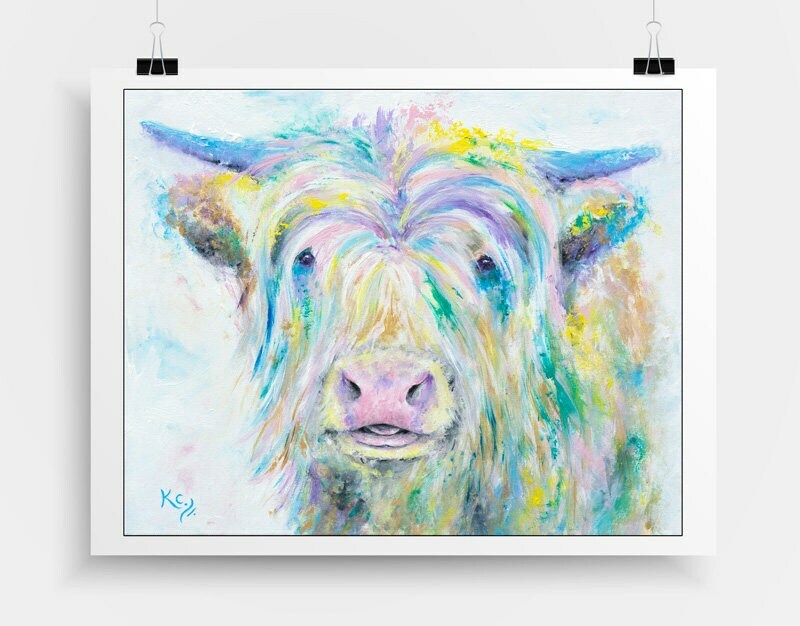 This giclee fine art print of my cow painting "Highland Cow" might be just what you're looking for...This artwork is a colorful portrait of a highland cow, which is also sometimes referred to as a Scottish cow. 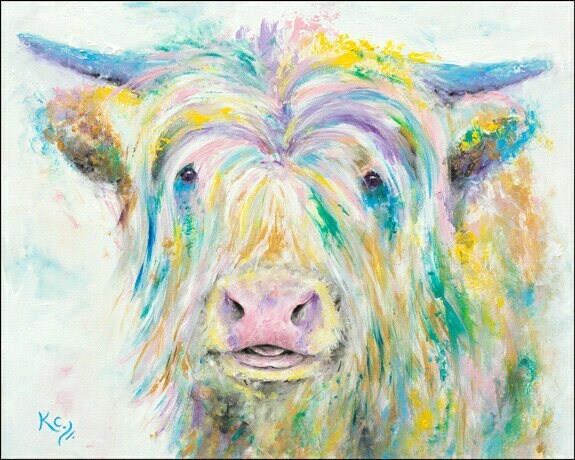 I love my Highland Coo. He matches nothing in my kitchen but he declares this is where he wants to call home.